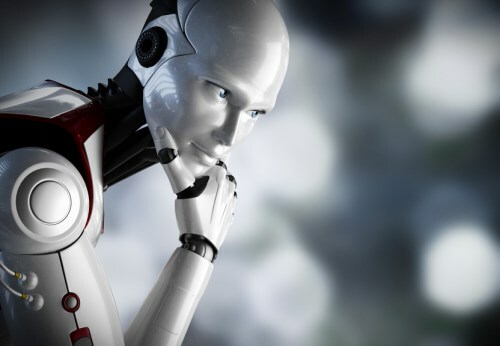 The robotic revolution is marching on, and advisors won’t be able to deny it much longer. Significant names in the financial sector continue to turn to new technologies to appeal to a wider array of clients. Take, for example, the Royal Bank of Canada, which partnered with BlackRock’s FutureAdvisor, a platform that uses algorithms to help guide investment decisions. Via its investor gateway, RBC will become the custodian of client assets and take care of tax documents, statements, trade confirmations and so on. At the same time, FutureAdvisor will offer a digital advice service based on a holistic examination of the client’s portfolio, including guidance on when is the right time to make various investment decisions. RBC said the partnership was prompted by its advisors, who were eager for more tech-savvy tools that might help them reach a larger pool of investors. Many believe that robo-advice platforms, with their simple interfaces, frequent calls to action and use of big data, actually offer clients a better and more tailored experience. Indeed, a report from Capgemini estimates that the current $14 to $16 billion in assets managed by robo-advisors will climb to $1 to $2 trillion within the next five years. Mallory Greene, marketing manager at Wealthsimple, believes now is the time for advisors to sit up and take notice of the technology, because failing to do so may be a huge risk. A recent study from Allianz reveals that non-millennial clients – such as Baby Boomers and Gen Xers – aren’t so keen on getting advice from robotic platforms. Nearly seven out of 10 said they “don’t really trust online advice” and prefer a personal connection instead. Bill McElroy, senior financial advisor with Manulife Securities Inc., thinks that as long as older generations make up a large portion of the investing public, there’s still a place for the human advisor. clients will opt for a hybrid model rather than turning their backs on human advisors.